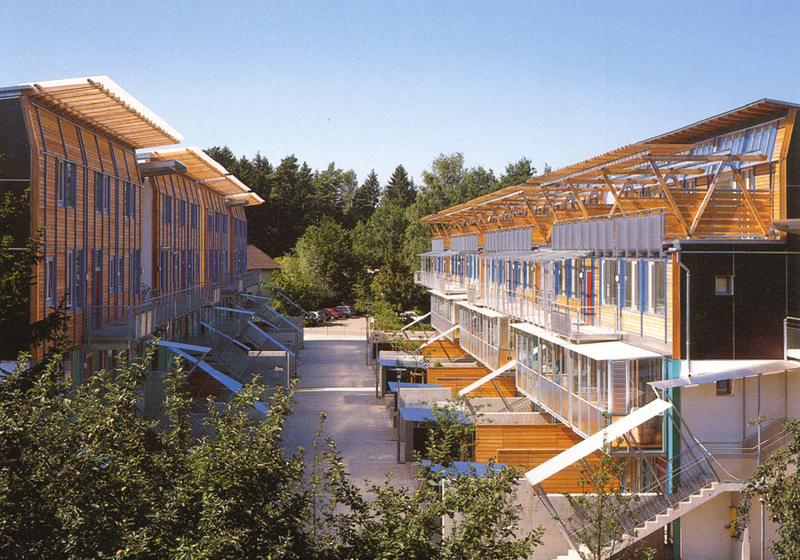 The Waldkraiburg housing development was a contemporary experiment combining new and historical concepts of housing practice. This residential quarter, containing 62 dwellings, two shops, two offices and an underground car park with 54 spaces, was created based on a garden city concept yet in a scale appropriate to the region and applying modern-day architectural style. 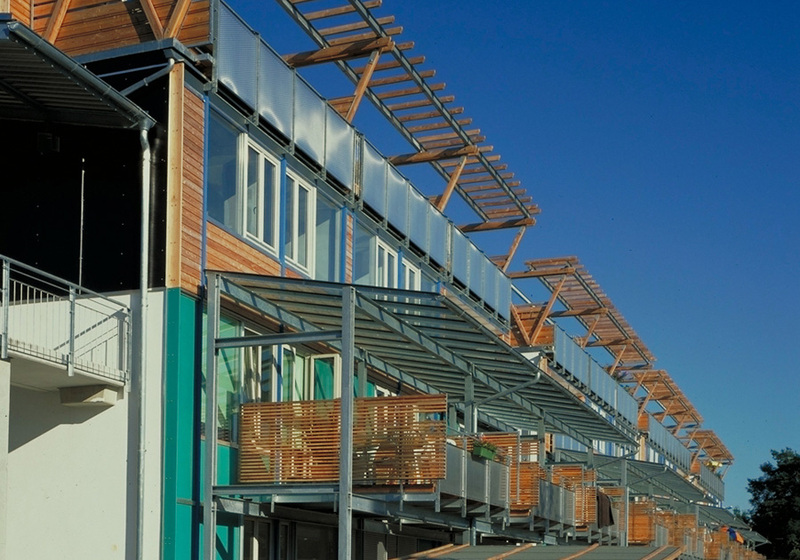 To date, the first building stage has been completed encompassing two rows of housing along a residential pathway. The second building stage includes a communal garden with small waterways between the two built structures. Dwelling sizes include modest apartments, multi-roomed flats and tiered single family homes. Thus the development complies with the requirements of increasing residential density without exploiting too much land.